June heralds the start of summer and is a month where nature really gets going. 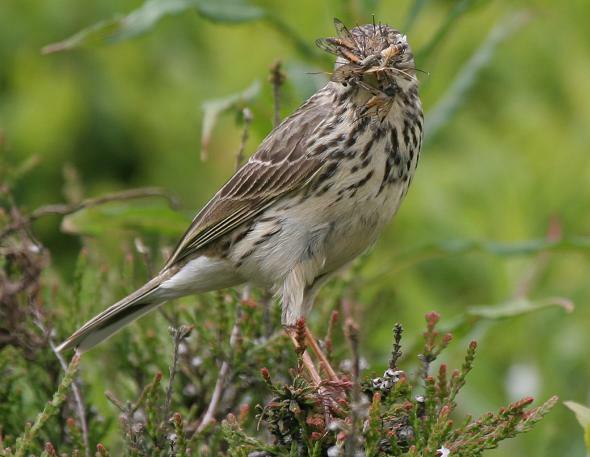 Parent birds can be seen feeding their young who will soon be leaving the nest, wildflowers are abundant. Most trees will be in full leaf Hawthorn also known as May hedge will still be flowering in early June dependent on how cold spring has been. June 21st is the Midsummer Solstice and our longest hours of daylight, you can take a 24 hour time-lapse of the day here... it also marks the official arrival of summer. Early in the month some of the flowers you can see are; Bistort, Bluebells, yellow fields full of Meadow Buttercup, Cotton Grass on the moors. Later on Foxgloves, Birds-foot-trefoil, Dog-rose, Yellow Iris and Bilberry are flowering. If the weather is warm early in June you might see Damselflies such as Common Blue and Large Red which are usually first to appear. Later in the month if the weather is warm Dragonflies should begin to appear. This can be later if the weather is cold and wet. Birds will be busy feeding their young and eventually coaxing them to leave the nest. 3rd June 2005, Large Red damselfly and 1 female Common Blue Damselfly (Enallagma cyathigerum) seen at Penistone 3rd June 2007. 16th June 2006 male Broad-bodied Chaser dragonfly seen at Longbridge. 11th June 2007 male and female Broad-bodied Chaser dragonfly seen at Penistone and Longbridge. 24th June 2005 1 Dragonfly, Common Hawker seen at Penistone Hill Country Park. June 2nd 2009; Four Spotted Chaser seen at Penistone Hill. June 2nd 2009: Painted Lady butterfly seen. 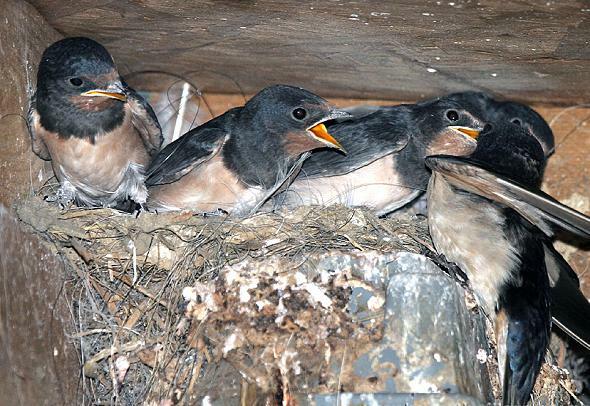 10 June 2005, 4 Swallow fledglings successfully leave their nest. 28th June 2009, 4 Swallow fledglings leave the nest. 21st June 2007, Bilberry on Black moor are ripened. Roses nah are i full bloom, Bud monny a rose ma find a tomb. Nah swallows skims the river's wattery face, an frogs renew the crokin o thare race.